Argyle pink diamonds are unique to the point that a dedicated grading system has been developed by Argyle Pink Diamonds. The system grades each stone predominately by colour. For example, as shown on this chart, a 1p is an intense pink, with graduations in colour through to 9p. 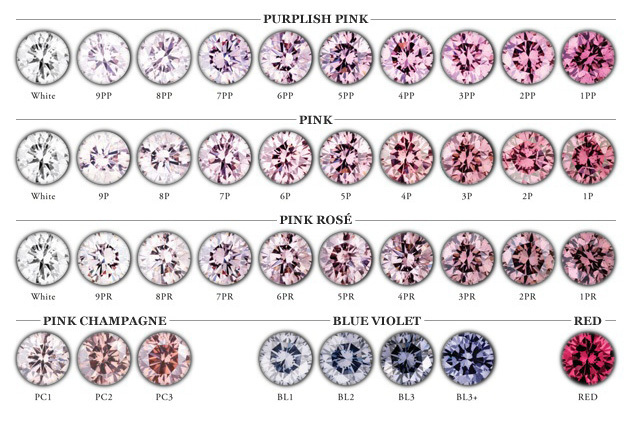 Colours range from Red to Pink, Purplish Pink, to Pink Rose, Pink Champagne and Violet.